Normal human red blood cells are small, round, and biconcave when they are mature. Their flexible shape makes them well suited for squeezing through tiny blood vessels, which they must do in order to distribute oxygen to, and remove carbon dioxide from, the various tissues of the body. 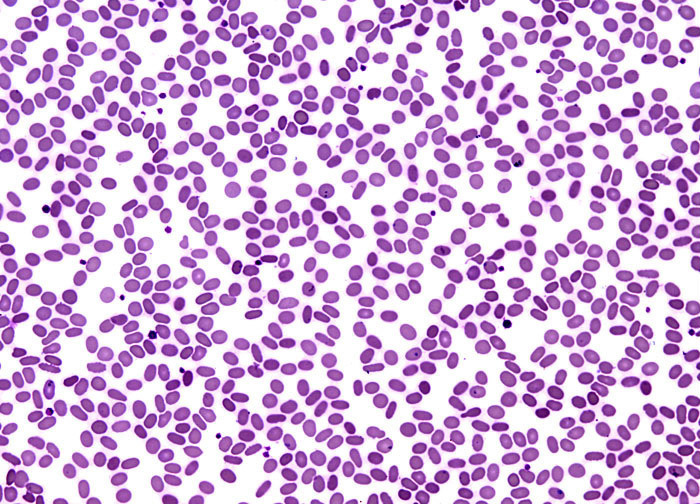 Deviations in the shape of red blood cells sometimes occur and, in some cases, may result in serious medical problems. Ovalocytosis is a condition in which the red blood cells exhibit somewhat of an oval or elliptical shape, rather than the normal round one. Known as ovalocytes, these abnormal cells are often flat instead of biconcave as well. Sometimes, when oval-shaped red blood cells do not lack concavity, they are referred to as elliptocytes and the condition is termed elliptocytosis, but this nomenclature varies.